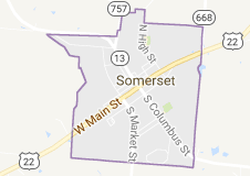 The Village of Somerset was established in 1810 by settlers from Somerset, Pennsylvania at the spot on Zane's Trace located midway between Lancaster and Zanesville. 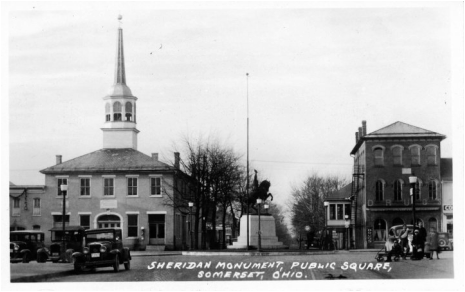 Seven years later, parts of Fairfield, Muskingum, and Washington counties were merged to create Perry County, and the house of a Somerset resident was named the first temporary courthouse. In 1819, the county government arranged for the erection of a purpose-built courthouse in Somerset; while most of the building was used for a jail, it also included a courtroom and space for some county offices. 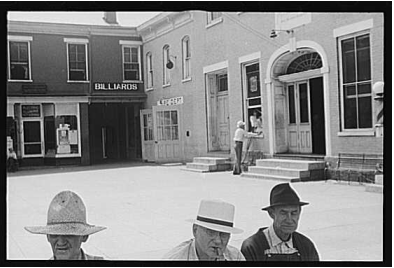 Ten years later, a permanent courthouse was constructed on the Village's public square. In 1833, Somerset contained county buildings, nine stores, six taverns, about 120 dwelling houses, and more than 600 inhabitants. Please call 740.743.2963 regarding this website.